SINGAPORE - Analogue TV transmissions will be disabled from Jan 2, but Housing Board households will have until March 31 to apply for the Digital TV (DTV) Starter Kit if they have yet to do so. According to the Infocomm Media Development Authority's (IMDA) latest figures, about 90 per cent of Singaporeans are receiving DTV either over-the-air, or through their pay-TV subscription. 1. What happens if you do not switch to DTV? 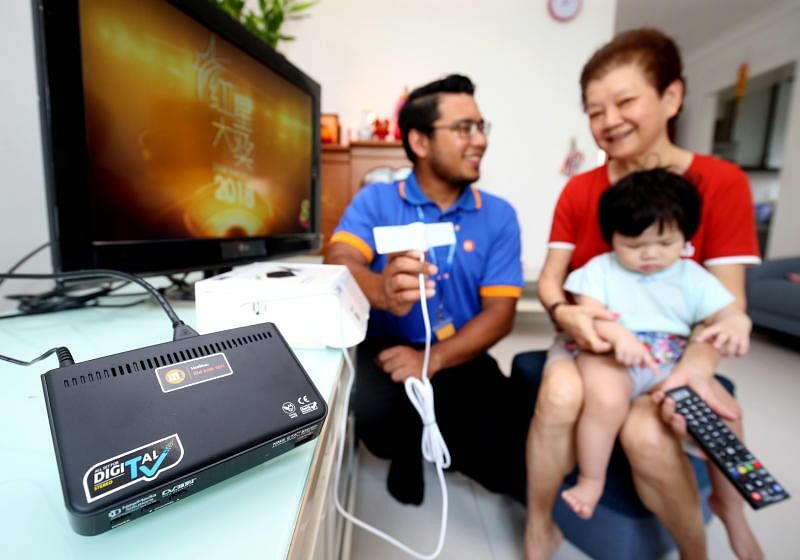 When analogue TV transmissions are cut off, those who have not switched to DTV will no longer be able to watch Mediacorp free-to-air programmes. At the moment, households which have yet to make the switch see a smaller picture on their television screens, with a banner reminding them to do so before Jan 2, when the analogue TV signals will be turned off. They will also be able to see on-screen instructions for the switch to DTV. 2. What are the advantages of DTV? Digital transmissions allow broadcasters to send TV signals more efficiently. This means that viewers will be able to receive higher-quality images and sound, and enjoy benefits such as being able to choose the broadcast language and subtitles. In addition, viewers will be able to access electronic programme guides with more information about TV programmes. Depending on their TV and set-top model, viewers may also be able to record shows in high-definition, depending on their TV and set-top box model. 3. How can you switch to DTV? Those who are using a pay-TV subscription, such as Singtel TV or StarHub TV, do not need to make the switch, as they are automatically able to access DTV. Households with digital-ready TVs are required to connect an indoor antenna to receive digital transmissions. 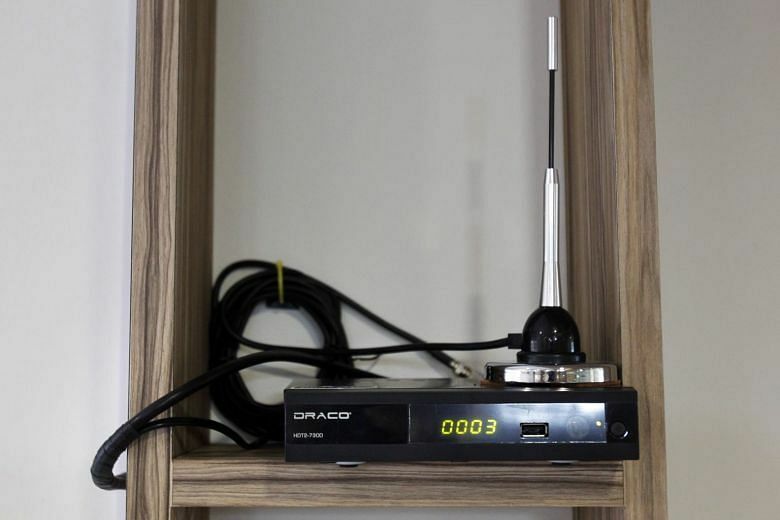 For viewers who do not have a pay-TV subscription or a digital-ready TV, they will require an indoor antenna and a set-top box to access DTV. All HDB households who do not have a pay-TV subscription are eligible for a DTV Starter Kit. 4. What is the DTV Starter Kit? Households eligible for the DTV Starter Kit can redeem a free set-top box and antenna package. Free delivery and installation is also available. Alternatively, they can redeem $100 for selected DTV equipment purchases, such as an antenna, a set-top box, or an integrated DTV, from participating electronics retailers including Best Denki, Courts, Gain City and Harvey Norman. A digital antenna and set-top box bundle at these retailers costs around $100. 5. Having issues setting up your DTV connection? Members of the public who are unable to set up their indoor antenna or connect to DTV can obtain help from DTV support counters at all community clubs/centres from Dec 26 to 31, 2018, and Jan 2 to 6, 2019, between 2pm and 9pm.